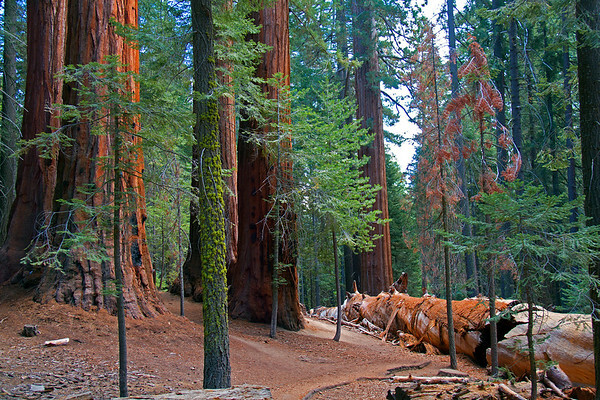 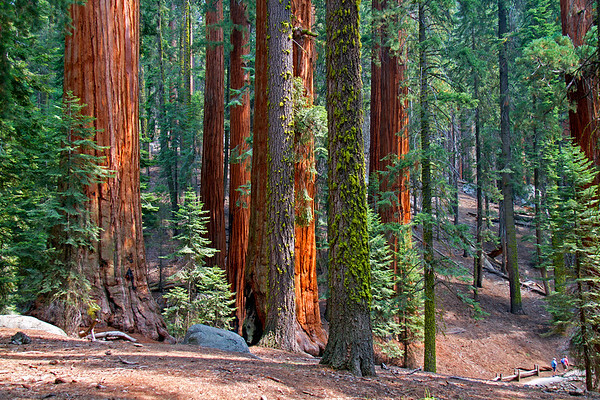 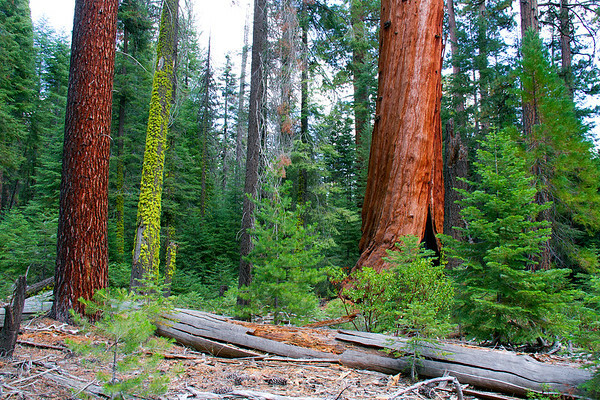 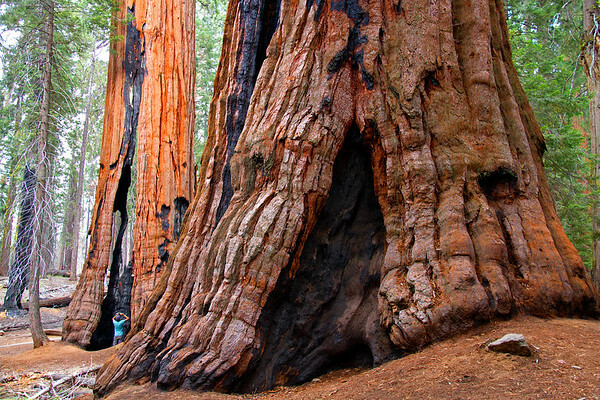 Beautiful images from Sequoia National Park. 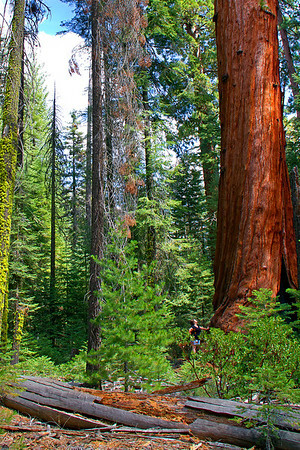 Man taking photo of Giant Sequoia tree. 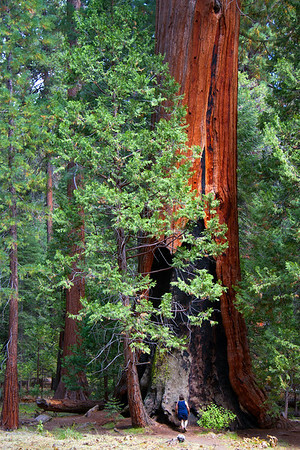 A woman gazes upon a Giant Sequoia. 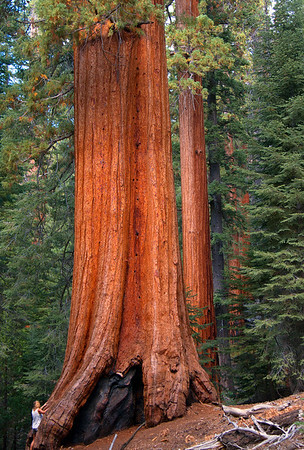 Woman gazes at Giant Sequoia tree. 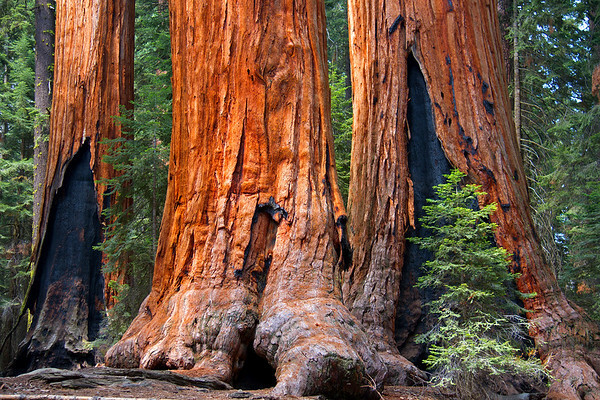 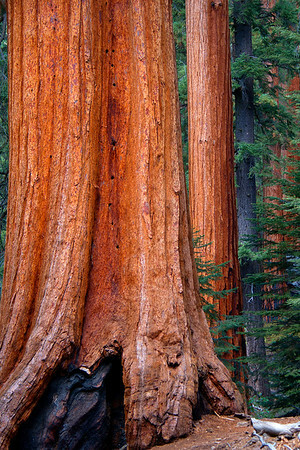 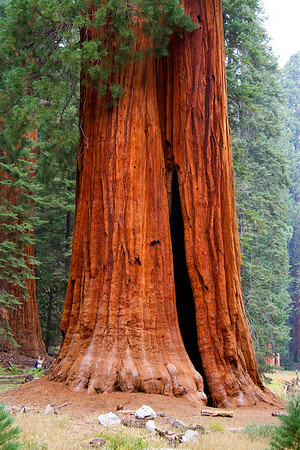 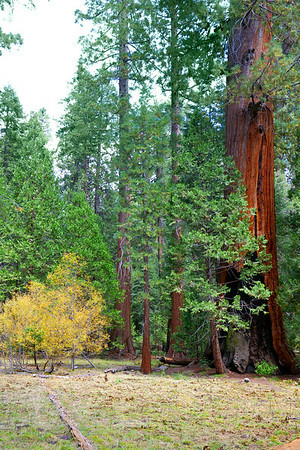 Two Giant Sequoias known as "Ed and Ned".